Home How Much Does a Hot Tub Cost? If you are in the market for a hot tub this year, one of the first questions you might ask is, "How much does a hot tub cost?". The answer is, it depends. Hot tub prices are not an industry secret. The main reason they are not displayed on the manufacturer’s website or most dealers’ websites is that prices vary, depending on several important factors. Here we’ll explain those hot tub price factors and provide the typical exact price ranges you will see when shopping for a spa of your own. Ultimately, as an educated shopper, you’ll be able to decide for yourself what type of hot tub and what type of hot tub ownership experience will be best for you and your family. The price of a new hot tub can range from about £ 2,795 to £ 21,695+*. In theory, the further up you move in pricing, the more long-term enjoyment you get out of your hot tub. However, the initial cost of the spa is only one element to consider. When trying to determine which hot tub provides the most value for your money, you should also consider what the ongoing costs of ownership will be, how often you plan to use your hot tub, and how many years you would like your hot tub to last. 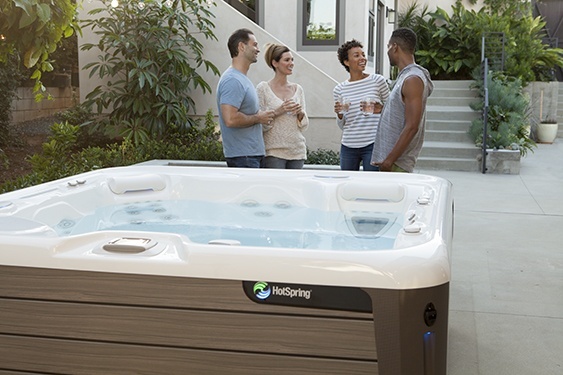 While spas in this price range offer very few features, their affordability makes it very easy for first-time hot tubbers to start enjoying hot water massage – hence the term “entry level”. Typically, spas in this price range are rotationally-molded – meaning the spa interior and exterior are formed out of a durable plastic. They look different than spas with shiny acrylic shells offered at higher price points. One benefit of a rotationally-molded spa? They are lightweight and easy to move. On the other hand, another manufacturer of value-priced spas may focus on including high-quality components that allow for years of reliable hot tub performance. Their spa in this value price point may not have as many features, since they’re investing more in what’s “under the hood”. 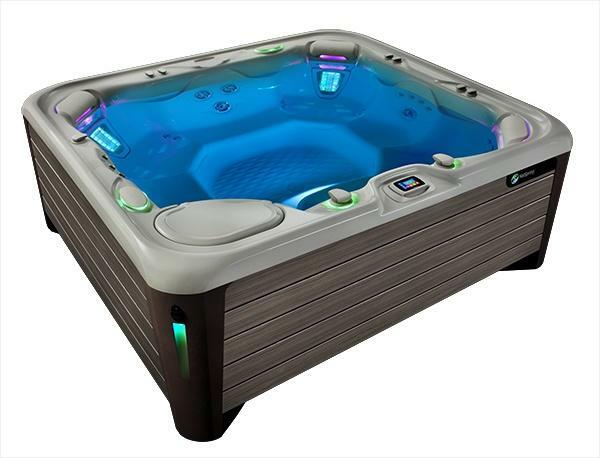 In addition to robust features (think high jet counts, water features and lighting), spas in this price range are designed and constructed using advanced engineering. As a result, these spas are usually more energy-efficient than value-priced spas, which reduces the ongoing cost of ownership. They often feature more advanced control systems. And they may offer top-of-the-line filtration systems and water care options that can reduce the maintenance time requirements. The spa components such as the pump(s) and heater may also be higher quality, and warranty coverage is often longer than spas at lower price points. The next obvious factor influencing hot tub pricing is features. These are big price drivers. 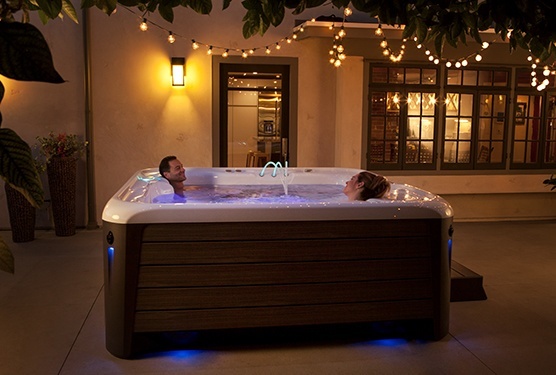 Many hot tub shoppers wonder if hot tubs could really be that different. Don’t they all hold and heat water? Don’t they all have jets? The way a hot tub looks in your backyard is more important to some homeowners than it is to others. 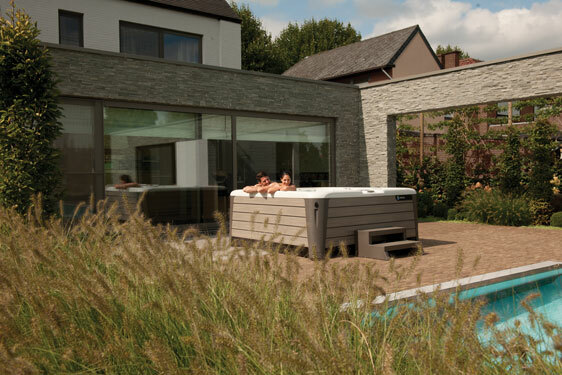 Many hot tub brands today offer product lines that emphasise hot tub design and take it to a new level. If you are concerned about how your new hot tub will look with your beautifully landscaped outdoor space, you may be willing to pay more for a model that offers leading-edge design. You might not expect your location to be a price driver, but it is. A quality hot tub is a large, heavy item and there is no way around freight cost. The freight cost is just like the destination charge that’s added to every new car sticker price. It’s unavoidable. Like a car, a hot tub costs more to ship to locations that are farther away from the manufacturing facility. 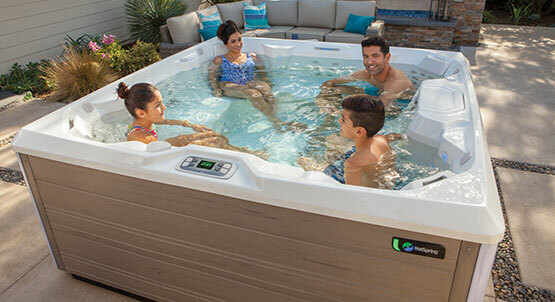 Purchasing a hot tub can be a significant investment, so we recommend that you find a local retailer that you trust and get to know the type of products, services and customer care they provide. Do they offer 24-hour service response time? Are their technicians up-to-date and trained on current spa technology? Long-term spa ownership depends on having access to a reliable local dealer; you’ll depend on that relationship for service support over the 10 to 20 year life of your spa investment. We can’t emphasise this point enough and encourage you to evaluate the benefits of purchasing from a quality dealership. It’s obvious that big hot tubs cost more to manufacture than small hot tubs. There is more material, more labor and therefore more cost. Some spa pricing variables are not based on the hot tub model you select. Instead, they are based on considerations like locale. The clear advantage to a used hot tub is the lower price. The disadvantage is that the spa’s early life has already been consumed, so you may not get as many years of use out of a second-hand hot tub as a new one. If you choose a used hot tub, be sure to go with a brand that is known for longevity and a dealer that is recognised for excellent customer care. The best place to get information about models, features, upgrades and costs for a hot tub of your own is your nearest hot tub dealer. 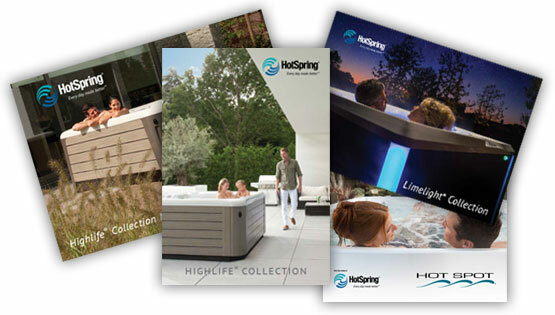 You can enter any postal code on our website to find the authorised Hot Spring® dealer nearest to you. We encourage you to visit your dealer in person. Bring a swimsuit and enjoy a test soak! Your dealer can answer all of your questions – even the ones you haven’t thought of yet – about models, features, options … and, of course, pricing. *This is based on 2017 prices.